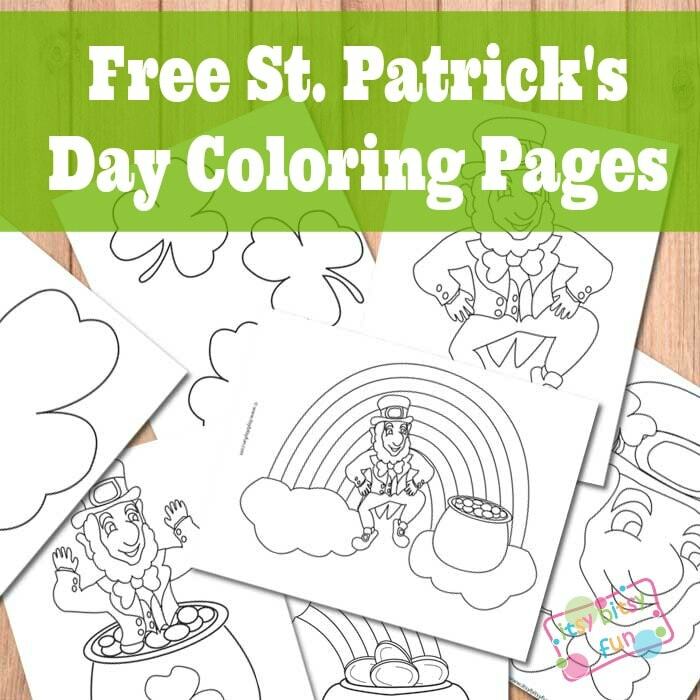 St. Patrick’s day is almost here so hurry up and print these fun coloring pages! There’s quite a few of them and I made a few “easy to color” for the little hands and some more challenging for those with more coloring experience! We haven’t always celebrated this day but it is becoming more and more fun each year! Shamrocks are a huge part of St. Patrick’s day! These two sheets are super easy and are great for all ages! While in nature these usually come in green there really are no limitations on the colors your kids can use here (I’m always rooting for pink!)! The funny little green guy with orange/red beard is another classic! Can’t celebrate this day without leprechauns can we (I was afraid of them when I was a kid though)? I’ve made an easy to color big leprechaun head, a dancing one with the rainbow and a pot of gold, a merry dancing one and one that jumps straight out of the pot of gold! Last but not least we have a rainbow, a pot of gold and even a teddy bear holding a shamrock! I just couldn’t resist and had to include a teddy (I think kids will love coloring this one!)! Get these lovely free pritnable St. Patrick’s Day Coloring Pages here.